Pinotage is a bold red wine and its history is a wild one. From its somewhat mysterious and humble beginnings, this rockstar wine has had its ups and downs. From almost disappearing completely, to a reputation-damaging fall from grace and eventual re-emergence as one of the greats, the Pinotage profile makes a great read (and taste). Now that it’s firmly back as a vine favourite, we explore all the pleasures it has to offer. 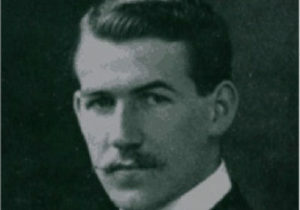 Pinotage first sprung into existence as the brainchild of intrepid traveller Abraham Izak Perold. Born in the Cape region of South Africa in the late 1800s, Perold spent much of his early life traveling the world, collecting nearly two hundred varietals to eventually bring back to the Cape winelands. An expert in his field, he was the first professor of viticulture at South Africa’s Stellenbosch University, later becoming the Dean of the Faculty of Agriculture. His passions culminated in 1924, when he crossed the Pinot Noir and Cinsaut (or Hermitage) varietals, creating the world’s first Pinotage. Originally known as “Perold’s Hermitage x Pinot,” this South African wine nearly saw an untimely demise soon after its conception. Legend has it that soon after it was first made the original seedlings were almost lost forever. The story goes that Perold only produced four seedlings when he crossed the two varietals and planted them in his own garden in 1925. When he took another post in a neighbouring town, Perold left the seedlings at his Stellenbosch residence, which stood dormant until the university sent a clean-up team to ready it for another professor. Enter Dr. Charlie Niehaus, who happened to be cycling past the house during the clean-up, and swooped in to save the seedlings from the workers who were about to dig them up and throw them out with the rubble. The wine gods must have been smiling down that day, as Niehaus re-established the seedlings at the nearby Elsenburg Agricultural College. Even stranger is that Perold allegedly left no notes regarding his mixture or decisions for the specific combination. Some say the idea came about when he tried to bolster the Pinot Noir grape, which at that time struggled in the area’s climate. As to his actual intentions, we’ll never know, but through a series of serendipitous events, we have the unique South African red wine we enjoy today. Pinotage is now sold worldwide, though it first gained recognition in the early sixties after winning a series of awards. Falling somewhat into obscurity thereafter, Pinotage became known as a table wine, after many farmers began mass-producing due to the robustness of the grapes and easily-achieved high sugar levels. Harvest quality dropped, and Pinotage was slated by critics, some likening it to acetone, and it started being used to bulk out other blends and even distilled for brandy. Thanks to the dedication of a few die-hard farmers, the wine’s reputation bounced back and regained its former glory during the early nineties. 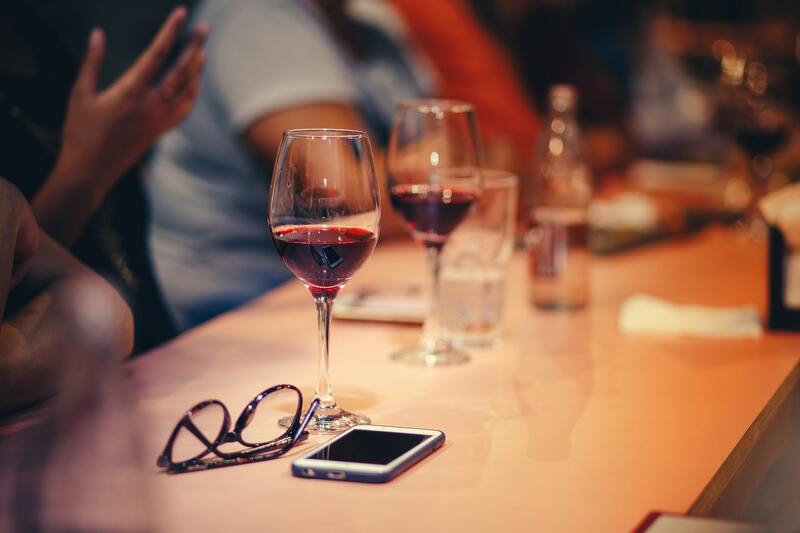 Around the same time, political changes meant that trade sanctions against South Africa were ending, thus aiding the wine’s emergence into the international market. Like most other fine wine, creating a Pinotage is a fine balance between viticulture (the science of soil and climatology that goes into growing the grape) and viniculture (the extraction, fermentation and maturing of the harvested juice). The vine does well in the Cape winelands’ dry summers and moderate winters. When grown in slightly lower temperatures, blackcurrant and cherry character develops, contrasting to the banana and plum character from warmer harvests. Red, pink, white and… chocolate bubbles? Though famous as a dry red wine, the bold nature of the wine lends itself to adventurous new imaginings. Beyerskloof Wine Farm has created the delicious Pinotage Dry Rose, by keeping the crushed juice in contact with the deep red skins for a period of six to eight hours, resulting in an elegant blush of colour. In 2007, Mellasat Vineyards created the world’s first white Pinotage using whole bunch pressing to prevent the juice from obtaining colour from the skins. The wine has a creamy nuttiness that balances well with the traditional banana and tropical pineapple flavours. Pinotage even comes in bubbly form, with KWV releasing the coffee-style Choc Mousse under their Café Culture brand. If choc-coffee bubbly sounds a bit much for you, there is no shortage of joys to be derived from Pinotage in its natural state. A truly versatile wine, it can be paired a variety of ways. The medium-bodied Pinotage lends itself to light winter dishes like a hearty soup or game fish. Slightly chilled, it also complements fresh fish dishes like sushi or even a hearty curry. The full-bodied Pinotage pairs well with game meat, a Sunday roast lamb or any rich, darker meat. The wine’s versatility even extends to dessert, with a well-wooded Pinotages’ chocolate flavours pairing deliciously with vanilla or fruit desserts. With Pinotage having emerged as one of the best South African wines, it’s not hard to find a vineyard that produces a Pinotage. But where do you go if you want the best Pinotage? 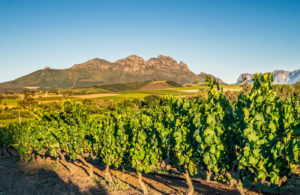 We have called on the decades of experience and in-depth knowledge of the South African winelands of our founder Cedric Jones to give you our top four picks. Cedric has worked in the tourist industries in several African countries, but his heart has always been in South Africa. He is certified by the prestigious Cape Wine Academy and his expertise and passion give you the estates for the best Pinotage in South Africa (and the world). 1. 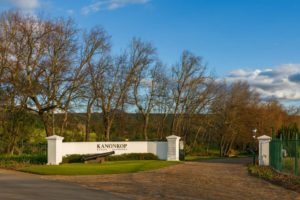 Kanonkop Estate Situated on the lower slopes of the Simonsberg Mountain in the Stellenbosch Region of the Cape, Kanonkop Estate confidently boasts some of South Africa’s most premium wines including a world-famous Pinotage. Their popular 2016 Pinotage with its red fruit flavours will age well, showing more secondary and forest floor characteristics over time. 2. Beyerskloof Beyerskloof is the brainchild of Beyers Truter, who started off making Pinotage at Kanonkop before starting his own estate. Beyers Truter, who was named ‘International winemaker of the year” in 1991, is the face of Pinotage. 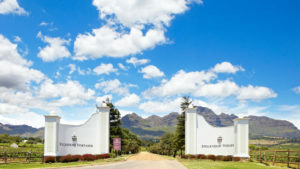 Under his guidance Beyerskloof has become world-famous for its Pinotage. Beyerskloof’s shallow, gravelly soil is very similar to that of Bordeaux and produces and is optimal for the Pinotage cultivar. Being widely accessible and exceedingly popular, the Beyerskloof Pinotage is elegant, soft and medium-bodied with a fresh and superbly balanced finish. 3. Stellenzicht Founded in 1692, Stellenzicht is one of the oldest wine farms in the Cape. Their Vine Post Pinotage is rich in flavor without being bold in body, offering a clean, dry and elegant finish. They also offer the Golden Triangle Pinotage with an enticing nose that follows through to rich, succulent and velvety ripe red fruit characters perfectly balanced by a firm acidity and integrated tannin structure. 4. 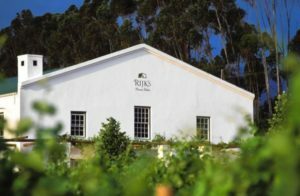 Rijk’s Currently bottling three Pinotages; Touch of Oak, Private Cellar and Reserve, Rijks is a must-visit stop, in the Western Cape town of Tulbagh. In 2013, the estate released the maiden vintage of their Rijk’s Pinotage Syrah Cape blend. They are probably most well-known for the Rijk’s Reserve Pinotage, which is specially selected by their winemaker from his 10 best barrel of the vintage. This is special occassion, fine dining stuff. Much like the country of its origin, the Pinotages’ history is rich, vibrant and carried forward by dedication, sacrifice and a good dose of good fortune. 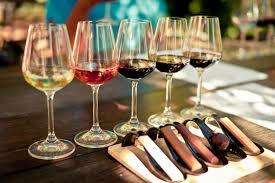 A Pinotage pilgrimage is just one of the infinite reasons to visit the Cape winelands. It’s picturesque natural beauty is framed by small towns, first class accomodation and some of the best restaurants in the world. The bustling metropolis of Cape Town is just an hour away, with it’s own endless opportunities for sightseeing and once in a lifetime experiences. If you would like some more info on all the delectable goodness the Cape winelands have to offer, you can sign up to our mailing list here and receive our free Cape winelands guide.